In search of the classic? 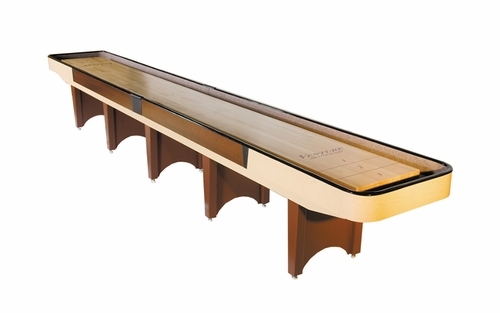 Look no further than this very popular model, patterned after coin-operated classic tavern shuffleboard. You can rely on its rugged construction and enjoy a lifetime of fun and competitive play. 22' table shown. Cradle is built out of 3/4" Fir plywood and covered with "Ivory Wood" and "Walnut" high pressure laminates.